There was order for the first time today from China. 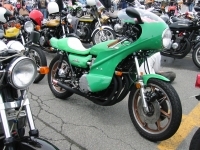 It is BROOKLANDS MV Agusta Single Seat. 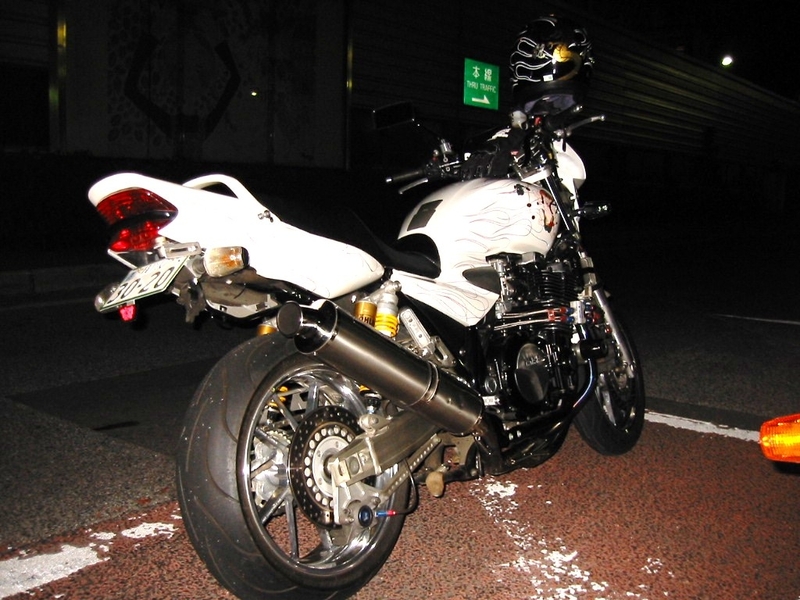 Theft of motorcycle "CBX400F" (400cc) of Honda which finished production 30 years ago occurs successively and is refused participation of the robbery insurance an owner. There is still the information that the theft rate is triple other car models by car traded with the price of 10 times at the time of the release of popularity in the market. 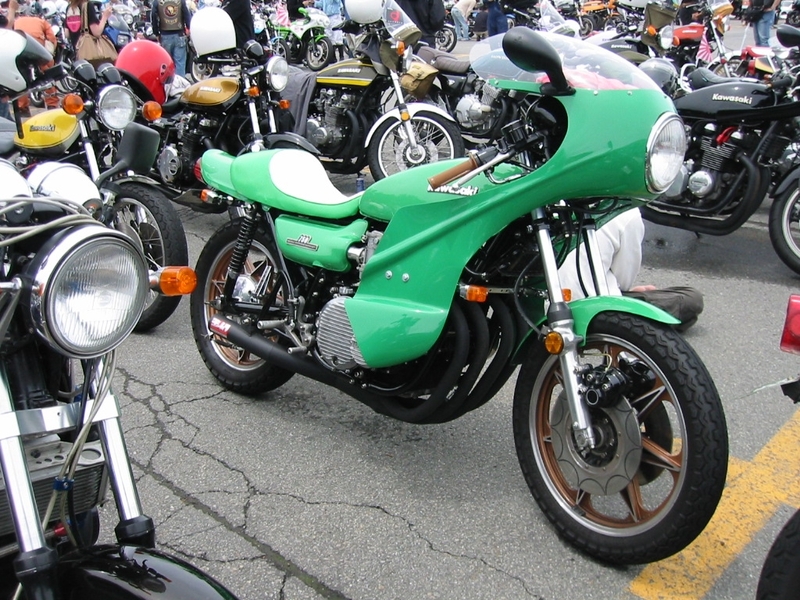 The number of national motorcycle theft rises in approximately 67,000 cases in last year, but what insurance cannot join only an identification car model is exceptional. According to the stores specializing in used motorcycles, CBX400F is proud of deep-rooted popularity led by a fan in its 40s. Sales price 480,000 yen at the time of the production that scarcity value rises when I am at the height of my popularity because production was finished, and a feeling of status getting into an old brand car should be born is around 1,500,000 yen now on the average. 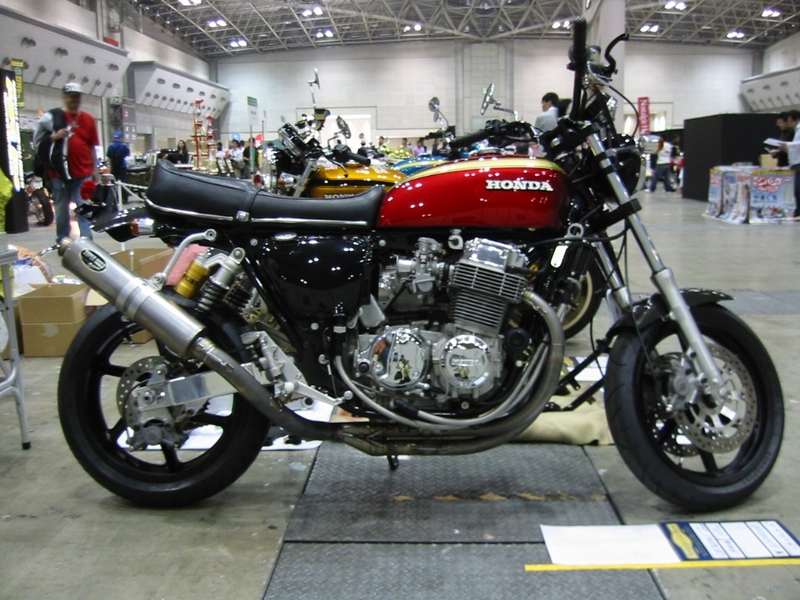 Of the state when is good, is bought and sold for 5 million yen. 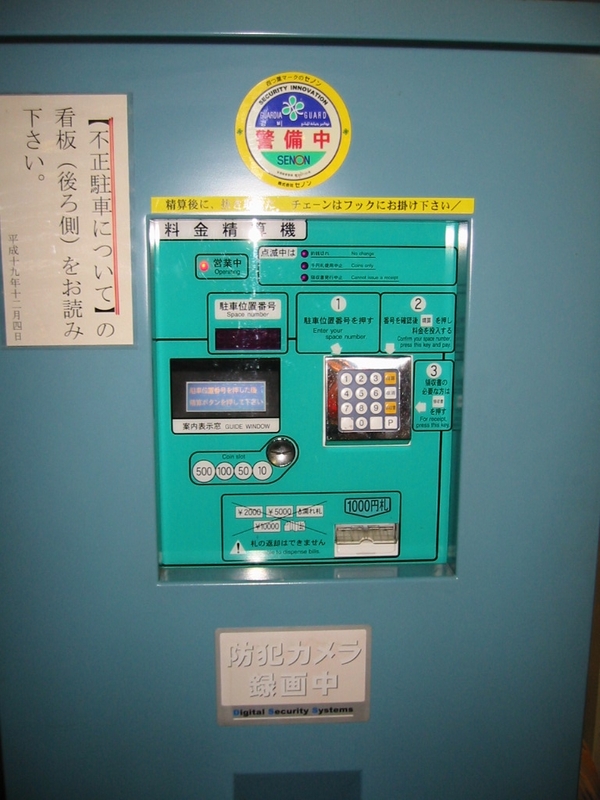 It is said that the theft occurs frequently in the whole country. 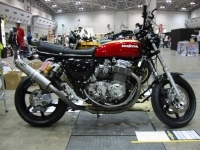 There are not the statistics of the number of theft according to the car model, but a number of cars number is tampered with and is resold, and it is dismantled, and leave it in a repair part, and it is said that it is exhibited at net auction and often appears. 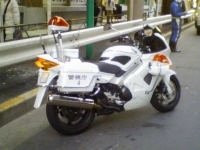 The ratio that the customer who got on CBX400F encountered theft was triple the public car model, and, according to road service company major "JBR Motorcycle" (Nagoya-shi) which handled the robbery insurance of the motorcycle, it was refused the robbery insurance contract about this car model in last year by the insurance against loss company of the business partner. The car model that I cannot join has few insurance elsewhere, and the person concerned with JBR company tells you, "the most of a person getting on CBX are in condition not to be able to join insurance". I thought that I knew, but there was a very big earthquake in Japan. Worry and an email of the support have been sent afterwards by many people in the world. 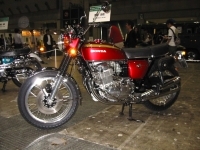 W800 is released soon by KAWASAKI. Probably it will be that various custom parts are released by many companies. This time, flight destined for the United States in 16 oz (453g) than the U.S. government has issued circulars to send you more than prohibited. 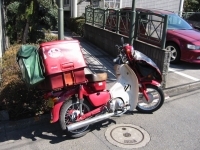 But "motobike.jp" The performance and reliability as in the past because the item was sent to the U.S. via air mail can be sent to America for many years in EMS. If you live in America, please order with confidence. I update a diary after a long absence. Were all of you cheerful? By the way, I introduce a rare thing today. I went out the other day to Yokohama. The train which I got on was made by Kwasaki then. The influence of the eruption of Iceland is serious. The MotoGP Japan round became the postponement in October, too. Though European all of you will be serious, please do its best. 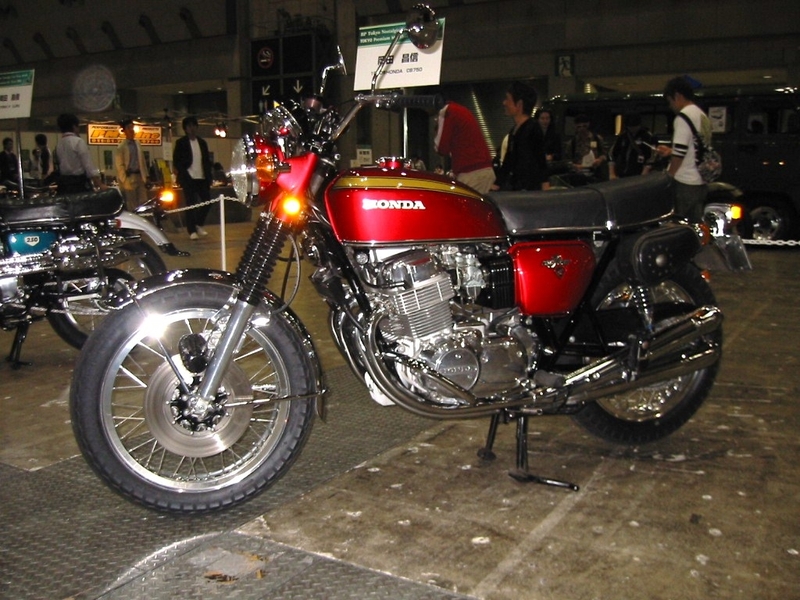 I went for Tokyo motorcycle show. A lot of new parts found it. I add it soon. Owner TW of Hong Kong sent a photograph again. 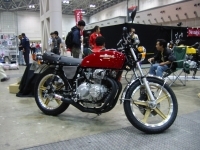 Owner TW of Hong Kong bought BEAMS SS300 Titanium Muffler. 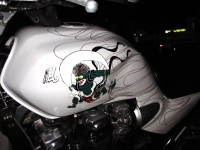 And he sent the photograph which installed a muffler. 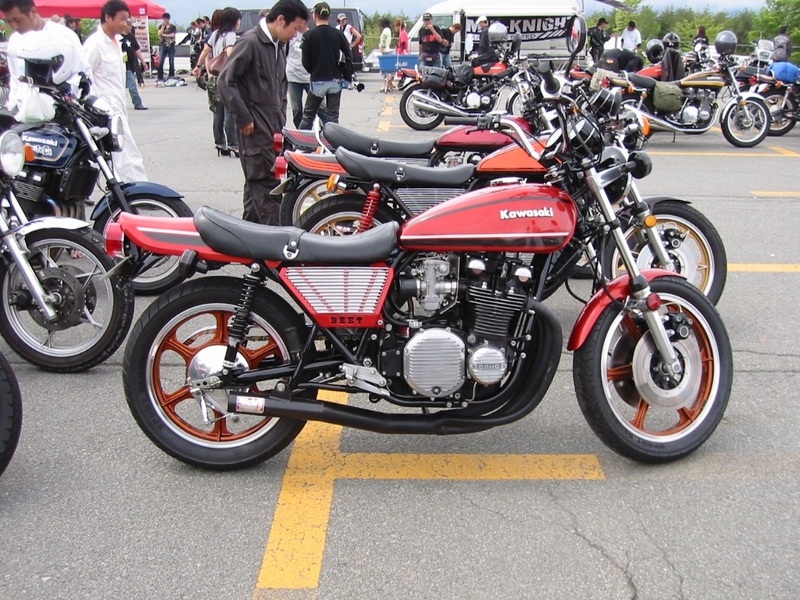 A custom else is already considered to be it. The owner understands what love TW. Please run in the town where there is the vigor of Hong Kong lightly. 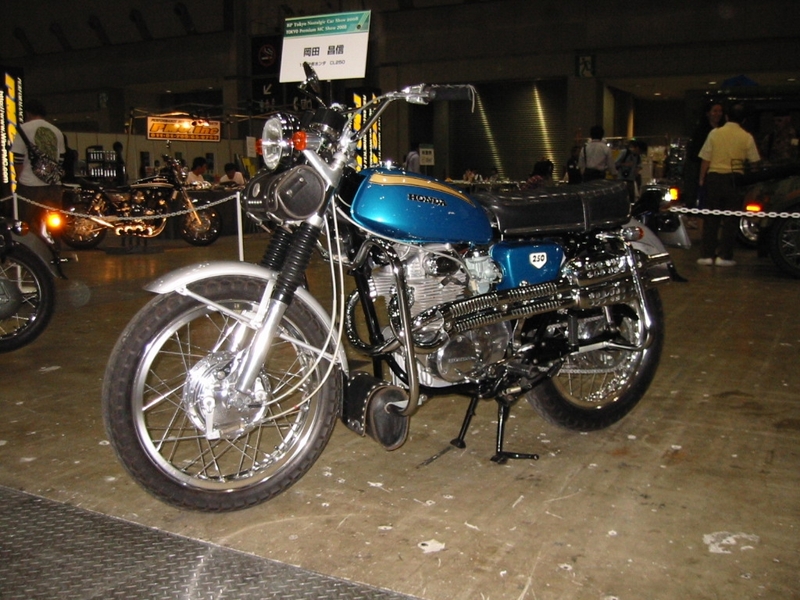 To the people who bought a parts for a past in motobike.jp. Please send a photograph. 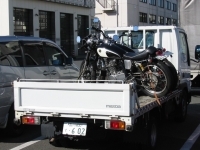 A photograph has been sent this time by the Switzerland person who bought a tank and a seat of Kawasaki W650. I understand that it is polished in detail when I watch a photograph and values W650 very much. The part which crossed the sea to this person is a lucky begger. I write a diary after a long absence. 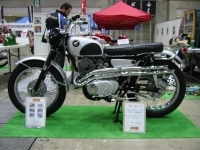 The person who lived in French Paris bought muffler and Fender Less Kit for FORZA in motobike.jp the other day. 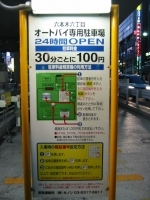 And I sent the photograph which I attached it to. 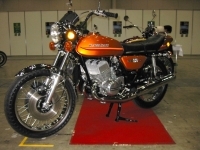 I am glad when I think that the motorcycle which I attached the part which sent a town of stylish Paris from Japan to runs. The other people who bought a part in motobike.jp please send a photograph by all means. 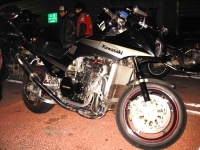 Let's spend a wonderful motorcycle life this year. I write a diary after a long absence. 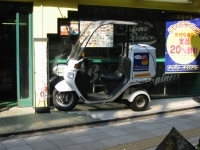 I introduce the custom of the motor scooter which is popular in Japan recently today. Look at a photograph. As can be seen, it is Low&Long! This is the recent fashion. Several kinds specialized magazines appear. When I do such a custom, how is all of you riding a motor scooter? 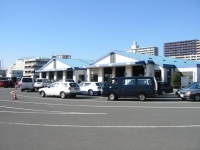 In May 25,I attended the Z Meeting that took place near Mt.Fuji. The Z Meeting is ehere all the Z1 and Z2 owners from all over country meet. It was raining heavily in the morning as I left Tokyo. 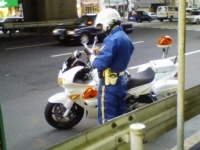 But I'd been told that the meeting would go on, rein or shine, so with the wipers on full speed, I headed down the Chuo Expresswey to the Kawaguchi Lake exit. I'm afraid I didn't ride a Z; I went by car. As to why I went to the Z Meeting without the Z, my real purpose was to take pictures. 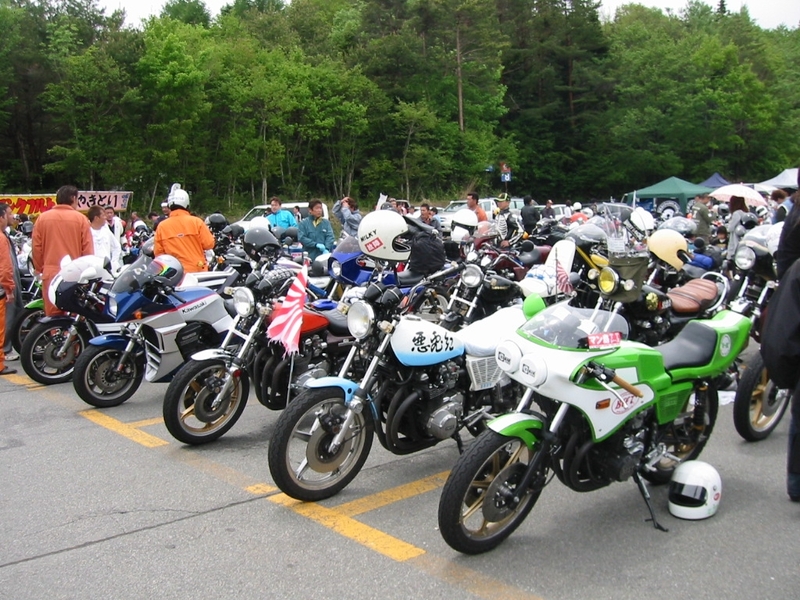 I was pretty werried about attendance, given the cold rain, but then I spotted a group of about ten Z's parked in the Dangozaka service area on the way. That gave me a lottle confidence. I arrived at the spot around 6:30a.m. But the rain was still coming down hard. As I was conferencing with the photo staff. I heard the sound of enngines from the area of a truck parked at a distance from us. I rushed over to see five deautifully polished Z2's. Whether these were from the bikes I saw being drenched at Dngozaka or had come from the truck, I was struck by the determination of these owners to come hell or high water. I don't know if it was this determination on the part of these people or what, but the weather gradually began to clear, and before noon, we even saw sunshine. 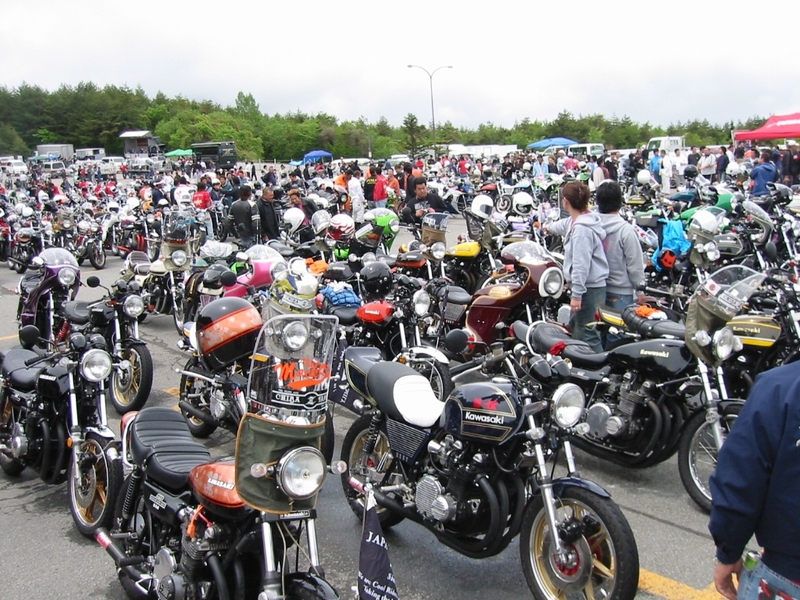 As the weather cleared, the bikes kept pouring in until more than three hundred were gathered. Those of us doing the photography were moved by the heat of the owners' determination to try and photograph every single one of the bikes there. I intend to offer a DVD of these images in the future. Attention Z lovers everywhere. 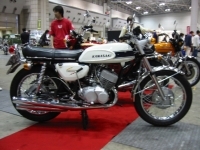 I went for an event of a 「Nostalgic World 」on the weekend.Most were exhibited mainly on a motorcycle of 1970's.Though it was old, it was only a good thing of the condition. 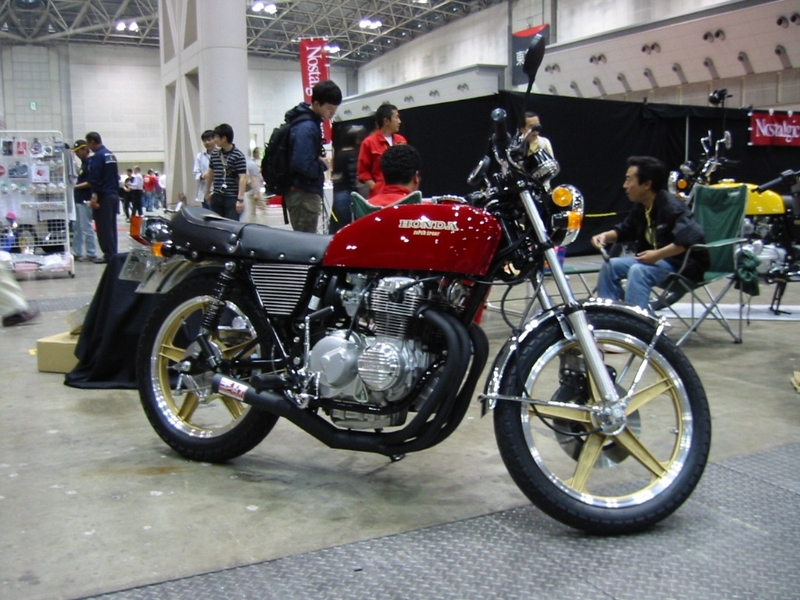 CB400Four which I stepped on in the days of the teens. I miss you! 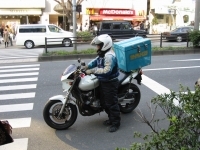 Today we would like to introduce business used motorcycles in Tokyo. This is a police bike. It is called "Shirobai" by its white coloring. 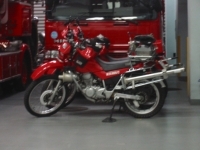 This is a motorcycle fire engine. 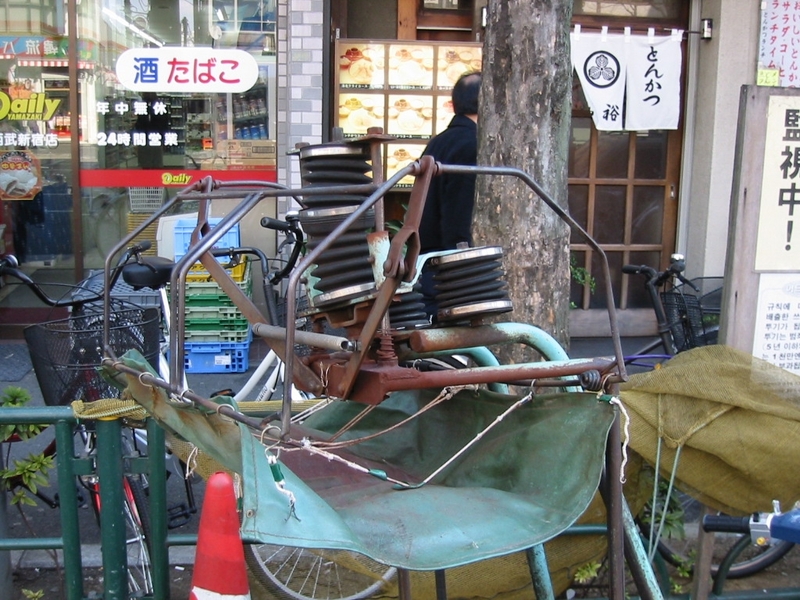 A small water pump is attached. 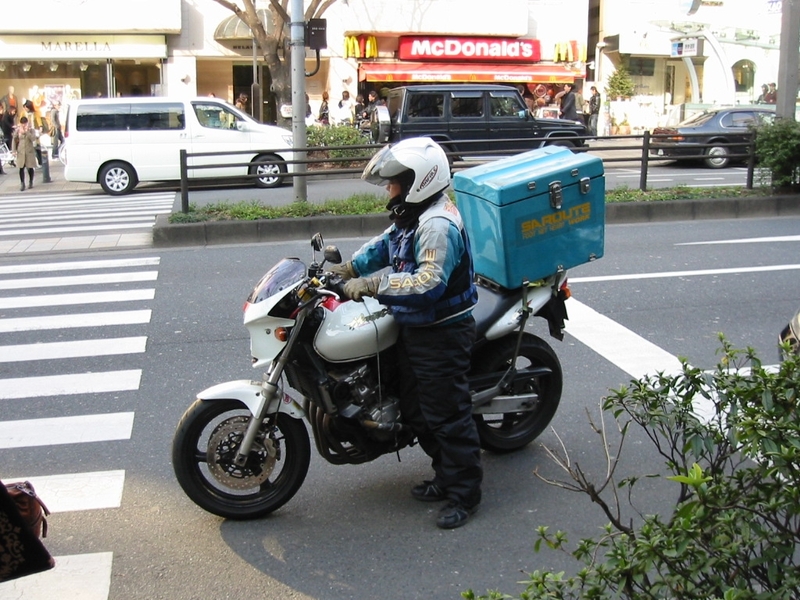 This is a motorcycle delivery service called "bike-bin"
The motorcycles are often personal, and so various types of motorbikes are used in this service. This is a catering motorbike. 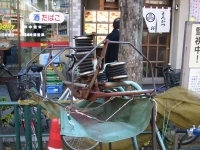 The carrier has multiple springs to keep balance of their load. Mailman bike. The engine is 70cc. 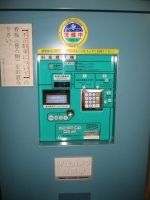 Japan is a very strict country on parking violation, especially in urban. an exception for motor cycles also. 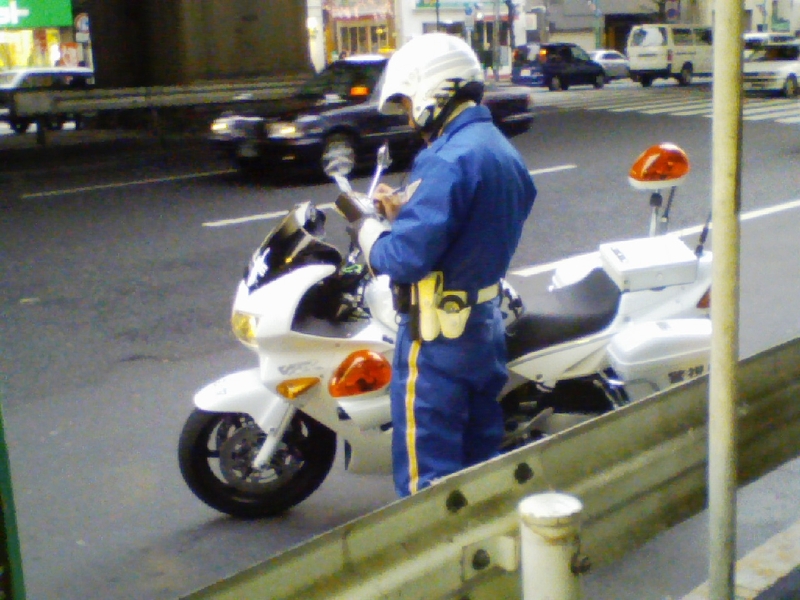 2006, certified private parking observers are also allowed to perform. 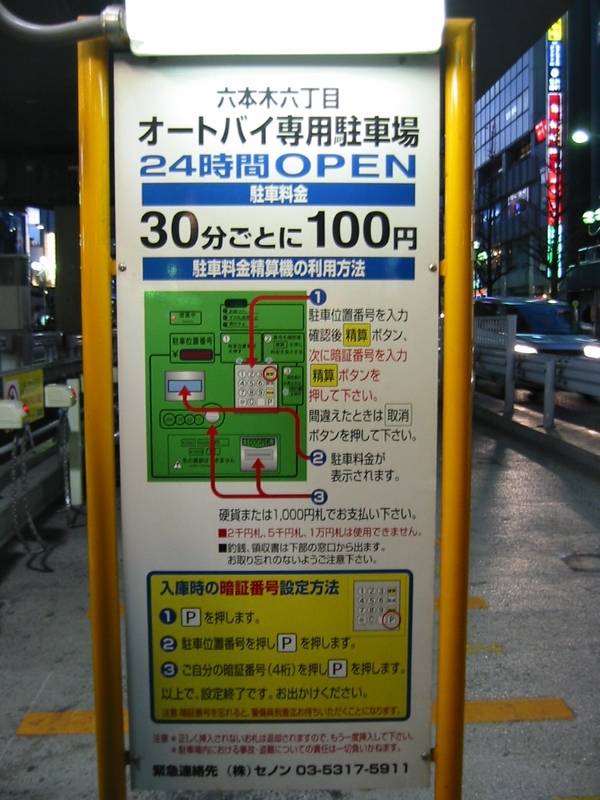 example is a motor cycle parking in Roppongi, Tokyo. Park in an open space and chain the motor cycle. 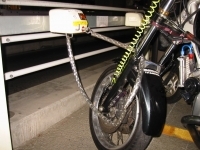 Pay the fee when you want to get out, and the chain lock will automatically be unlocked. 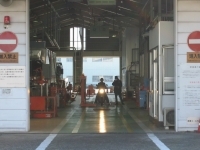 You are required to have your vehicle inspected bi-yearly in Japan, which is called Shaken. 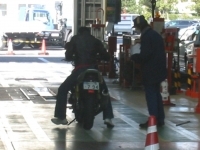 If a vehicle does not take the Shaken automotive inspection, it will not be allowed to run on public roads. 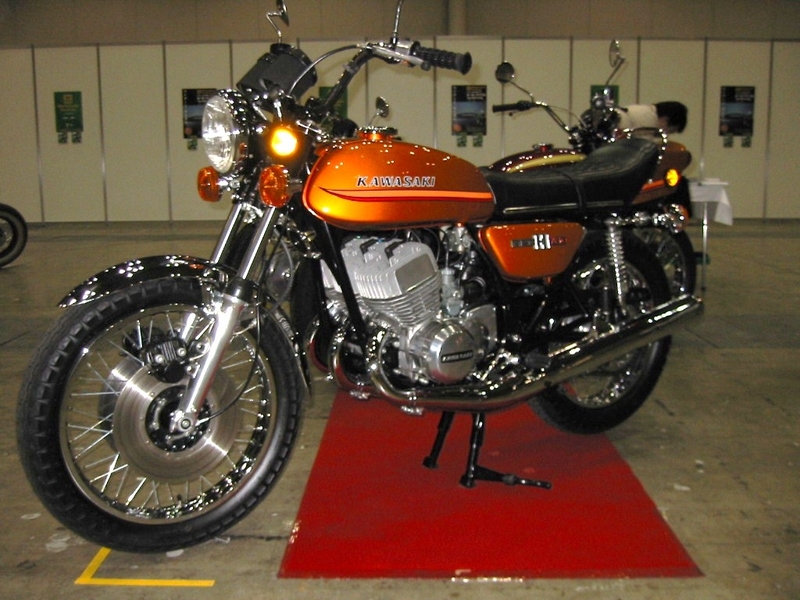 The Shaken will be fundamental for motor cycles larger than 251cc displacement. 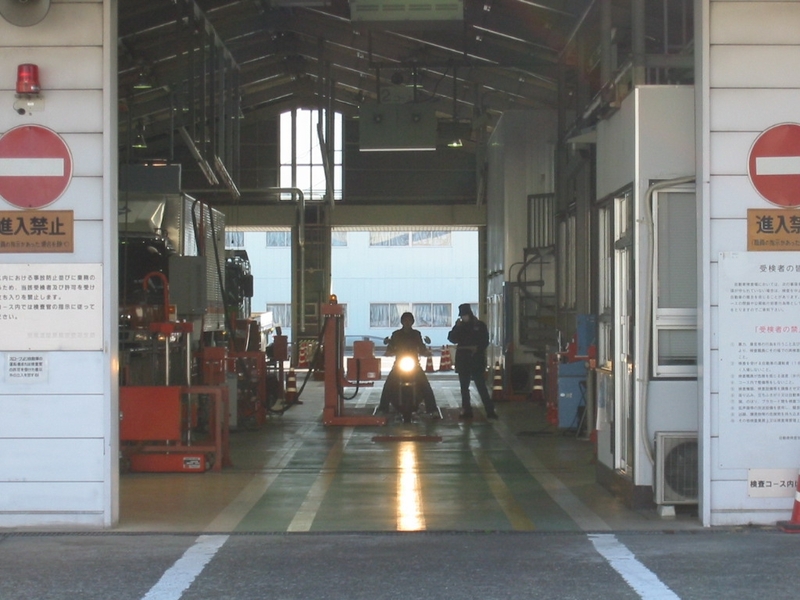 In the Shaken, the vehicle will be checked if it meets the smog emission standards, safety standards, and so on. Shaken will be performed in certified inspection centers by the Japanese government. 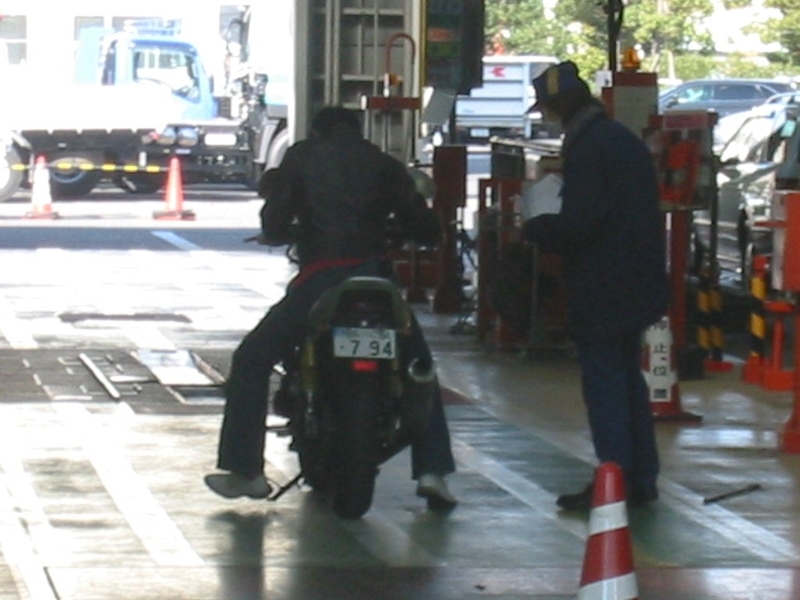 Today, we would like to report a motor cycle inspection in a certified testing center. 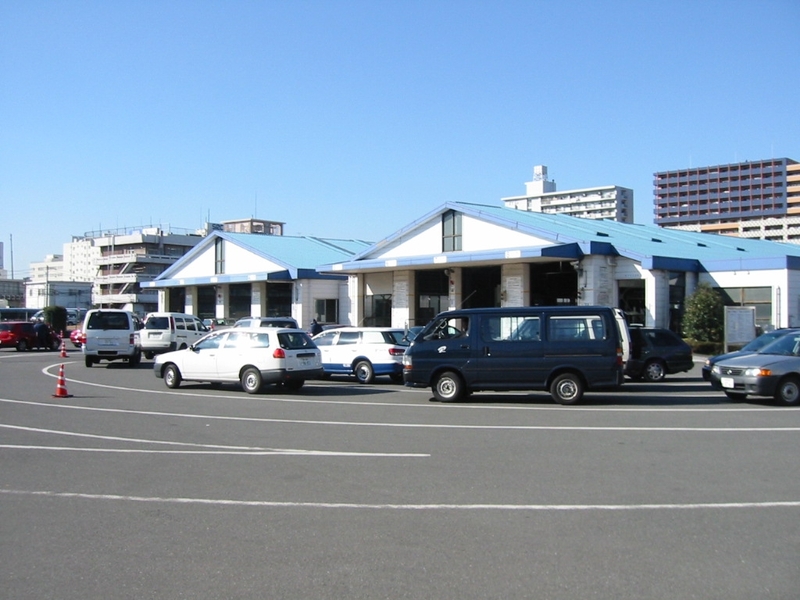 This is the inspection center building. 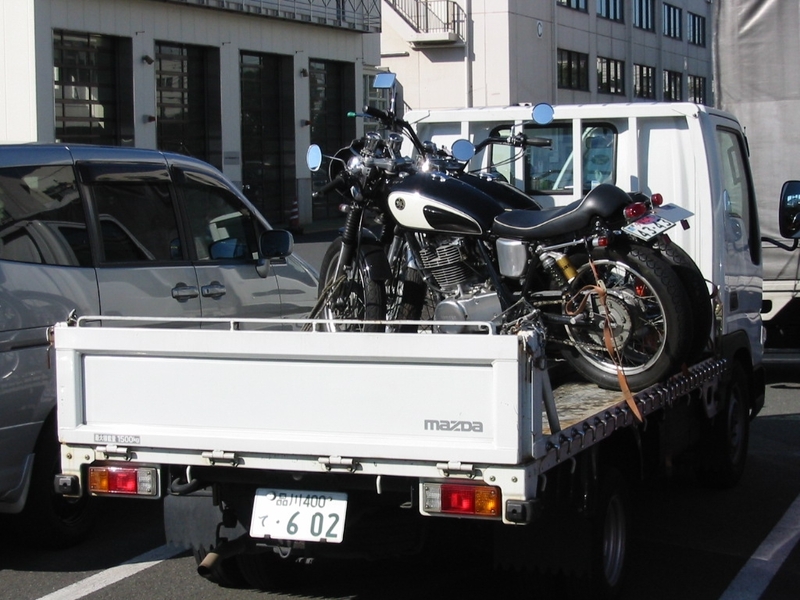 Shaken expired vehicles cannot be driven on public roads, and so they will be carried on a truck. 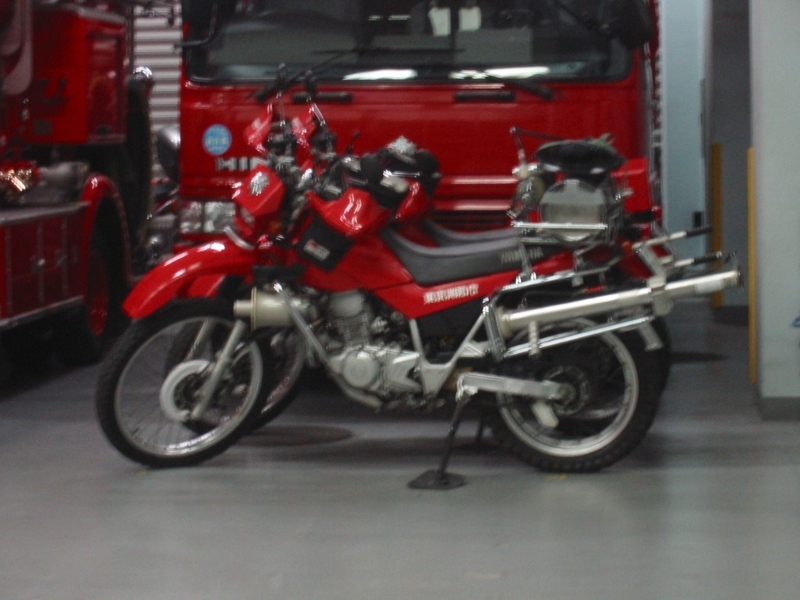 The inspector will check frame number, exterior outlook, and engine displacement etc. 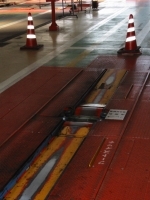 Testing if light direction is set accurately. 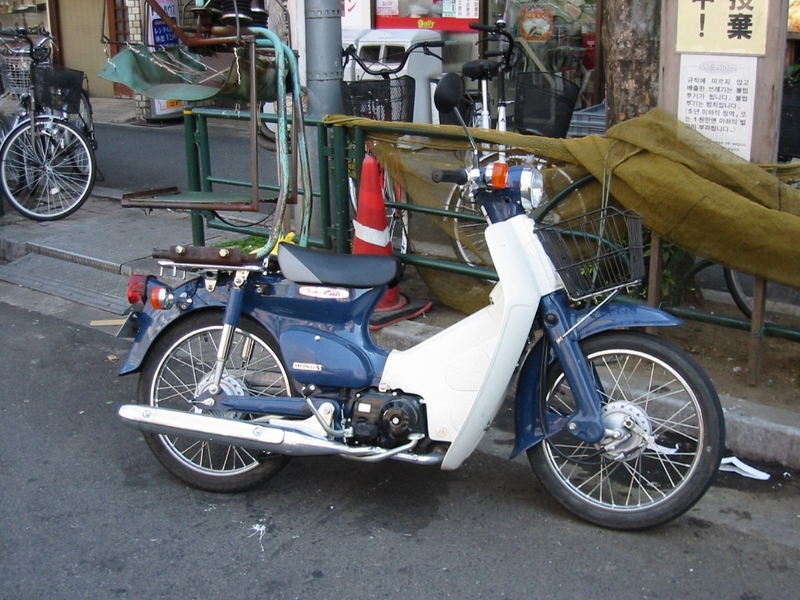 We will check brakes and speed meter performance on this roller. Are these kind of testing performed in you country? There are not so many hills or curves, so it's one of the easy-to-ride highways. 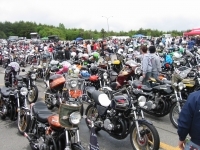 During the weekends, many riders gather to the parking area of this highway at the Yokohama side. The other saturday, I went to this spot and found many riders in spite of the cold weather. These riders love to drive so fast and for that, most of them customize their motorcycles. These are the pictures I took that day. Please find how the Japanese customized motorcycles look like. How the riders in your country behave themselves? Here at the Northern Hemisphere side, it's winter now. 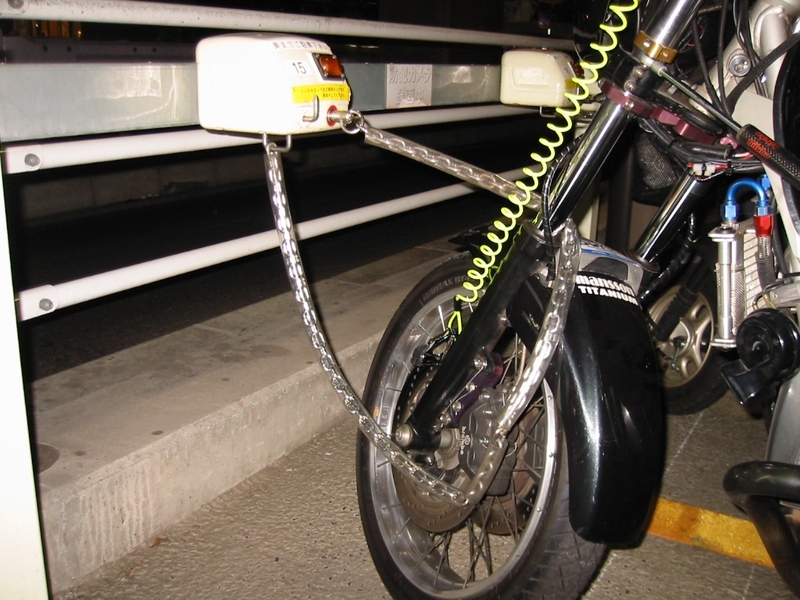 How do they manage your motorcycle life?